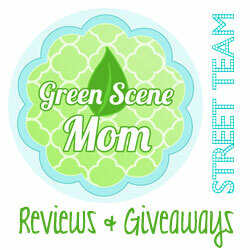 You are here: Home / Media Reviews / October Top Book Selections! Every month, I receive many books and I will be choosing my favorites! Here are SoCal City Kids choices for October! The first one is a really delightful and magical story! The New chapter book Seaside by children’s author Wylde Scott has been available since October 1st! This one is great for ages 6-10. Available on-line and in bookstores and libraries nationwide October 1st. 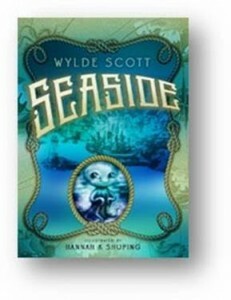 I really enjoyed the characters in this book and it is an exciting and fun story with a great plot! I highly recommend! 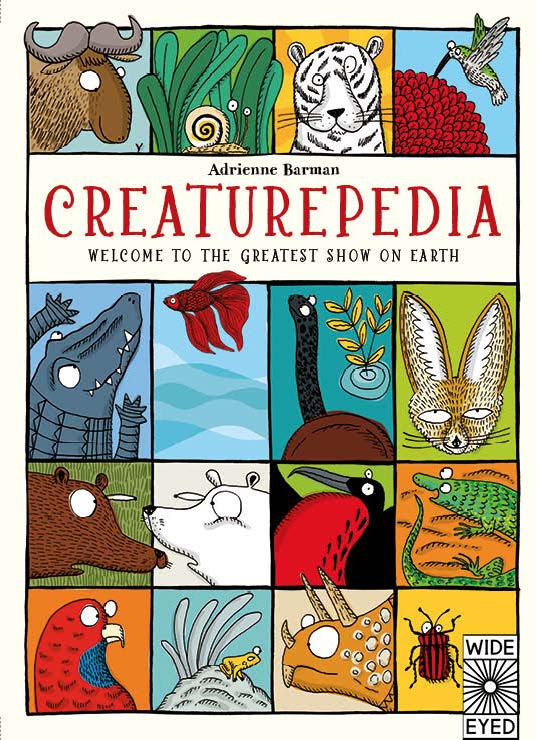 Books that Let You and Your Kids Explore the Wonders of Animals and Life Around the World. 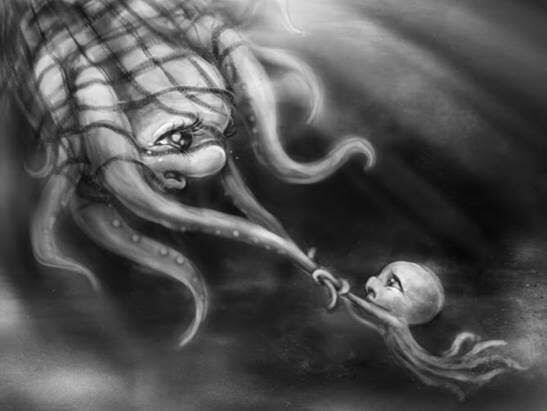 This is a really beautiful book for kids of all ages and even adults will love looking at it! Once you open the pages of this book, you will be reaching out to touch the images that nearly jump off of the pages. 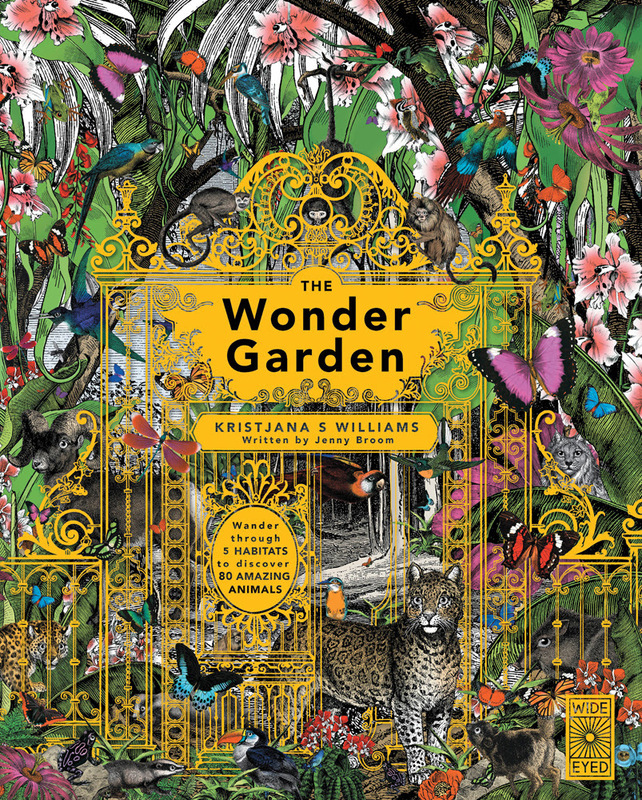 Open the gates of the Wonder Garden to explore five of Earth’s most extraordinary habitats, each filled with incredible creatures and epic scenery. Trek through the Amazon Rainforest, travel to the Chihuahuan Desert, dive in the Great Barrier Reef, delve deep into the Black Forest and stand on the roof of the world – the Himalayan Mountains – to see nature at its wildest. Breathtaking, engraved illustrations bring to life Earth’s spectacular Wonder Garden. Animals have always been a source of excitment for kids. Their names are fun to say (“elephant!” “hippopotamus!”), their sounds are fun to imitate (“roar!” “ribbit!”), and they come in all shapes and sizes. 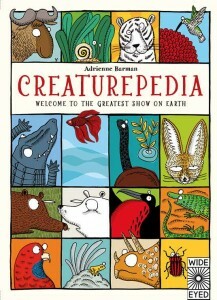 Creaturepedia is setup perfectly for a daily bedtime story and learning adventure all in one. Meet ‘the architects’, the ‘noisy neighbors’, the ‘homebodies’, the ‘forever faithfuls’, the ‘champions of forgetfulness’ and more in this alphabetically ordered encyclopedia. This one is a fun book for kids of all ages! I found this one to be quite unique! 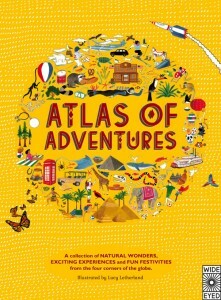 This oversized format is perfectly kid-sized in its ability to inspire a sense of adventure in little world explorers. The full page illustrations include the types of details that make kids want to make pretend passports and pack their bags for an imaginary trip on a plane. 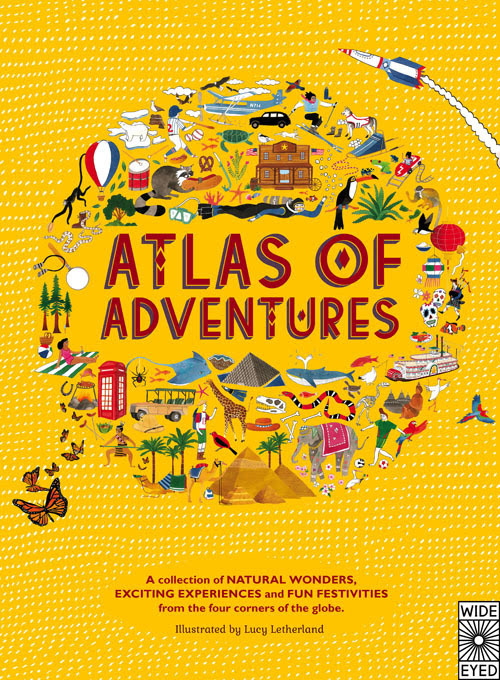 Tip: kitchen chairs are great for setting up pretend airplane seating and Atlas of Adventures is fantastic airplane reading material. This one is great for travel and travel minded kids! I recommend for all ages. All three of the above books can be found on Amazon.com. This next one is a really wonderful Picture book for younger kids. Recommended for ages 3-6. Because Tom can’t read facial expressions, he doesn’t understand the other children, and they don’t understand him. Playing at the park can be lonely sometimes, but luckily Tom has his dog, Boo, and Boo is easy to understand. She wags her tail when she is happy and whines when she is sad. One day, Boo gets her beard all knotted up in the bushes. A little girl named Lydia sees Boo and stops to talk to Tom. Boo’s beard has been tangled into a big smile, and Lydia explains to Tom that it’s the expression that someone makes when she or she is happy. 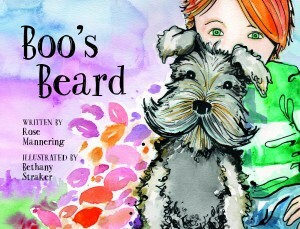 She twists Boo’s beard into a variety of other expressions, explaining each one as she goes. When Lydia invites Tom and Boo to play with the other kids, they join her, and by the end, Tom understands the meaning of his own smile. 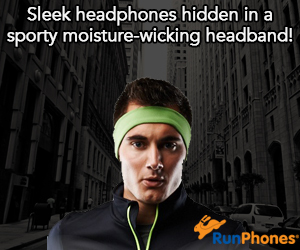 I love how this one is informative and is also fun to read! According to the CDC, one in sixty-eight American children have an autism spectrum disorder, which can lead to children having difficulty reading facial expressions. 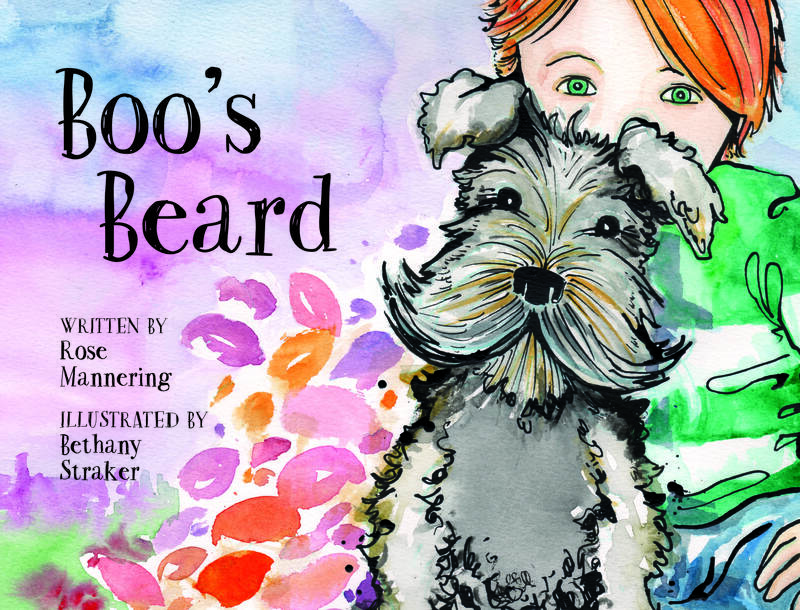 With Boo’s Beard (Sky Pony Press; October 6, 2015), children who struggle with identifying facial expressions will be instructed using a friendly dog character, and those who do not will be introduced to and taught tolerance for the fact that some people do have this problem. I love how this one shows different facial expressions and in such a fun way! Available on Amazon.com , B&N and IndieBound. This next one is a Must-Have for any Lego fan! 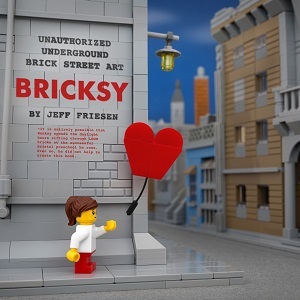 In Bricksy, Friesen gives new meaning to Banksy’s gritty street art by using clean, modernist bricks. Bricksy goes beyond transforming the medium by expanding the scenes it plays on and adding a humorous twist to each one. Each of the eighty-four photographs is wittily captioned, delightful to look at, and appropriate for a wide range of ages. You’ve never seen Banksy like this before! This is the perfect gift for Banksy and LEGO lovers of all ages! My son and I enjoyed reading this fun, unique and very creative book! It really is a must-buy for all Lego fans…no matter their age! Available at Amazon.com, B&N and IndieBound. Self Disclosure: I received advanced copies of the above books to review. Photos and press info supplied courtesy of the Publishers/Authors.